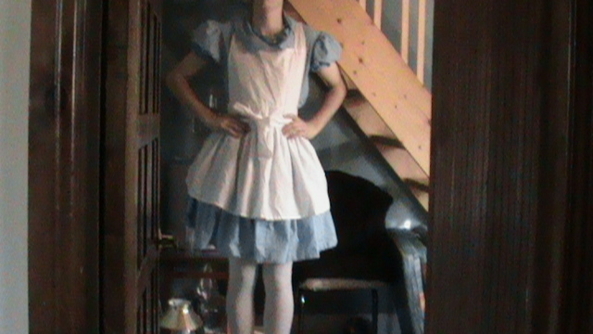 My cute Alice in wonderland dress. Were you my size you could try on one of my dresses! That's perfect for holloween all you need is the dog! I need to add more petticoats under it to be perfect! *psst* Wrong blue dressed girl, Alice followed the rabbit inro Wonderland. Dorthy had the dog, and her dress had a blue and white checkerboard pattern.